Humber River Hospital and its project partners have announced the facility’s achievement of LEED Gold certification through the Canada Green Building Council (CaGBC). 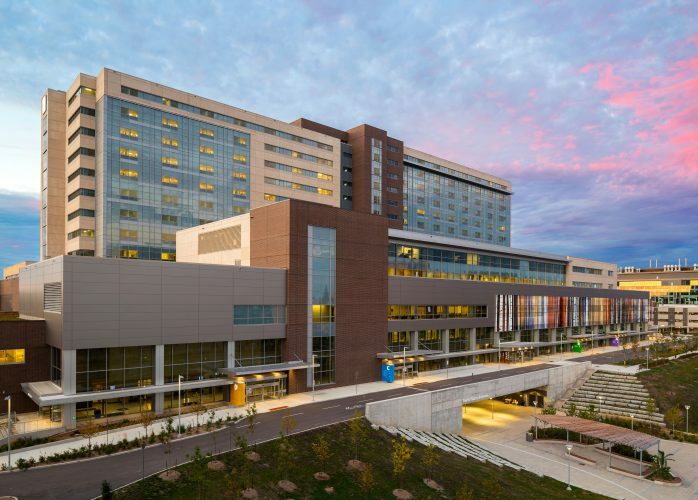 One of the most energy efficient acute care hospitals in North America, Humber River Hospital is revolutionizing sustainable healthcare design, with a built environment that is setting the bar for reduction of operating costs and carbon footprint. “Surpassing the project’s intended LEED Silver classification to achieve LEED Gold is a testament to the entire collaborative team’s relentless pursuit of achieving unprecedented energy efficiency targets to reduce Humber River Hospital’s carbon footprint and create a facility that balances energy efficiency and innovative technology, enabling the hospital to focus on its core business of providing exemplary patient care,” says Bruce Macpherson, PCL Constructors Canada Inc. (Toronto) Project Director. Humber River Hospital was delivered under Infrastructure Ontario’s Alternative Financing and Procurement (AFP) delivery model in partnership with: Humber River Hospital (owner); Plenary Group (Lead Sponsor and Financial Arranger); PCL Constructors Canada Inc, Toronto (Design-Builder and Construction Manager); HDR Architecture Associates Inc. (Architect); Johnson Controls (Facilities Management); MMM Group Limited (Sustainability Consultant); Smith + Andersen (Mechanical/Electrical Consultant); WSP Canada Inc./Halsall (Structural Consultant); Modern Niagara Toronto Inc. (Mechanical Contractor); Plan Electric (Electrical Contractor); A.M. Candaras Associates Inc. (Civil Engineer); and Quinn Design Associates (Landscape Architect).